DIAMOND Billiards will be the Official Table Supplier of the US Open 9-Ball Championship for the next two years, Matchroom Multi Sport is pleased to announce. The news means DIAMOND Billiards will continue its long-standing partnership with the US Open 9-Ball Championship and will provide all 34 match tables for this year’s event, which will take place at Mandalay Bay Resort, Las Vegas from April 21-26. With a full field already confirmed for the event, 33 tables will be used at the double elimination stage to whittle the 256 entrants down to the final 16. At that point, the event continues in the DIAMOND Arena when the format switches to straight knockout with every match played on the TV table and broadcast live around the world. 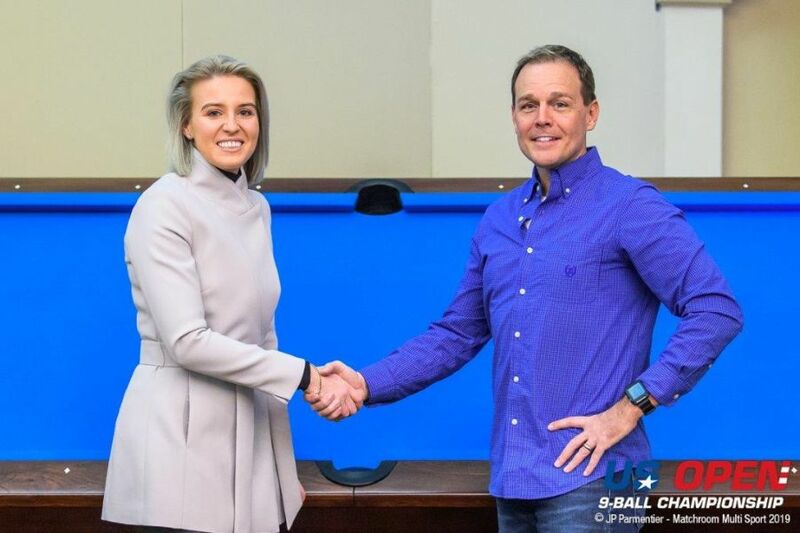 Chad Sharlow, President of Diamond Billiards, said: “We are very excited to continue the long running relationship between DIAMOND and the US Open 9-Ball Championship. “As the Official Table for the US Open, DIAMOND looks forward to elevating the game with unsurpassed playability and quality, assisting Matchroom Multi Sport in taking this great event to the next level. Emily Frazer, COO of Matchroom Multi Sport, added: “We are thrilled that Diamond will continue to provide the match tables for the US Open 9-Ball Championship. Both Matchroom Pool and the US Open have a long history with DIAMOND and it is great news for our full field of 256 players that they’ll be playing on the world-class DIAMOND tables again this year. DIAMOND, which was formed in Louisville, Kentucky and is now based in Jeffersonville, Indiana has seen its table used in well over 100 major tournaments around the world. The prize fund for the 43rd US Open 9-Ball Championship is set at a minimum $300,000.